A rather infamous port, but quite the collectible you can easily grab via this Mega Man (MS-DOS) eBay auction. The game comes in its box with leaflets, and 5.25" floppy disk, but is missing the 3.5" disk. 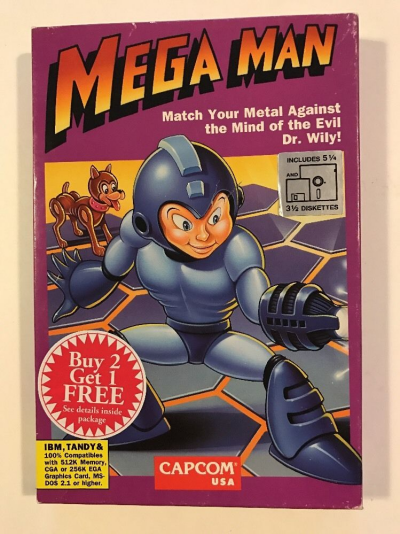 Also, you'll get to match your metal against the evil of Dr. Wily (not Willy) on a vintage IBM compatible PC. Seller ship to many places worldwide.